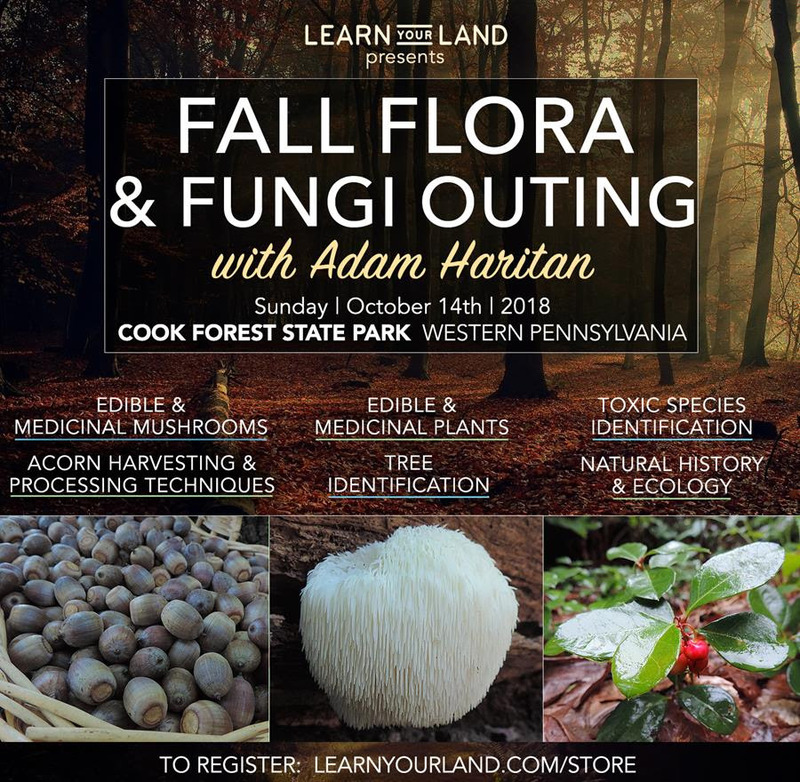 Fall Flora & Fungi Outing with Adam Haritan ~ New event scheduled! I am excited to announce that I will be leading the Fall Flora & Fungi Outing on Sunday, October 14th at Cook Forest State Park in Western Pennsylvania. And of course, I’d love for you to join us! Autumn is the perfect season to explore Pennsylvania’s colorful land in search of interesting and useful plants, mushrooms, and trees. We will spend the first part of this event in a mature oak forest learning the techniques involved in harvesting and processing acorns. This year has already proven to be a banner year for many species of oaks whose acorns have been falling incessantly in Western Pennsylvania. Participants will learn the steps involved in turning acorns into edible, delicious flour. We will also search the area for oak-loving mushrooms of all types. 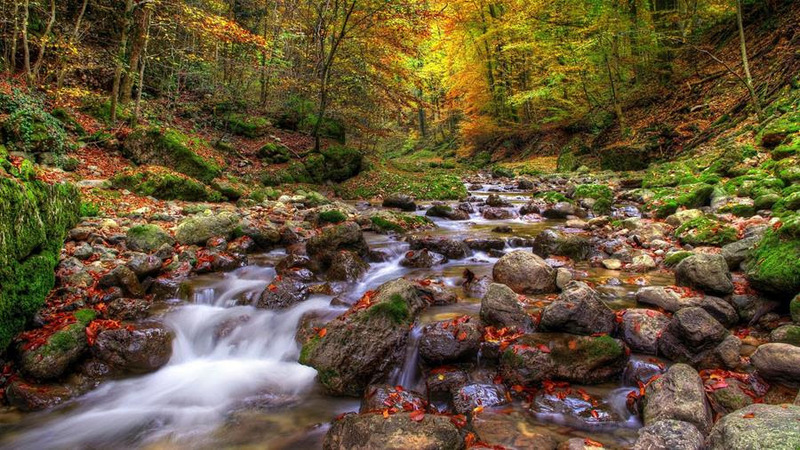 During the second part of the event, we will visit the old growth area of Cook Forest and explore the valley in search of mushrooms. This particular section of the park is home to some of the oldest and tallest hemlock and pine trees in the Northeast. Participants will learn the basics of mushroom hunting, including mushroom ecology and biology, edible species, medicinal species, and poisonous species. Throughout the day, we’ll also discuss various plants — including the edible, medicinal, and poisonous species — that inhabit the old growth forest. The program is geared toward adults and will entail moderate hiking. Please note that in order to maximize your learning experience, space is limited and registration with payment in advance is required to secure your spot. To purchase your ticket, and to learn more about the outing, please visit the following link.